Art is an inner language that must be expressed outwardly. For the visual artist, there is an urge to put sights or thoughts into some form of visual medium. If visual artists could put them into words, they would be writers or poets. If they could put them into movement, they would be dancers. It is a language that the visual artist speaks and is as unique as a writer’s word or a dancer’s movements.. The difficulty may be in projecting the language so that it is as understandable as the written word or the dance performance. Researchers are finding visual art is a means of expression for those who are non-verbal. Visual art takes on a structure and meaning as clear to the non-verbal as the spoken language is to others. Paula K. Eubanks (Eubanks, 1997) writes, ““Accepting art as a language means that art can be useful in developing language skills.” For those with difficulties learning verbal language, art can become a primary means of communication. To the non-verbal, visual art is speech. For the visual artist, also, art speech is a need to communicate from an inner place that has no words. “I was facing a quagmire regarding the insight that if we could ‘say’ art we would have no need to make art,” states Frikkie Potgeiter in a research paper for the University of South Africa entitled, Critical Language and Visual Art: a post structural analysis. The visual artist does not express through poetry or writing but by placing paint on paper or canvas. 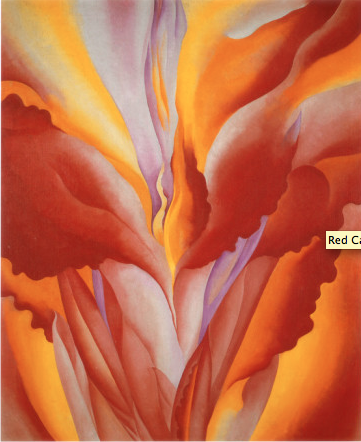 The language is one of color and form as O’Keeffe said. The visual artist’s brush is the main instrument of communication, as is the writer’s pen. For the visual artist, the goal is to adequately direct the brush to speak what is inside demanding to be spoken. Brush speech must be mastered as any other tool of communication. The artist has to maintain control so the brush doesn’t get carried away and say something offensive. It is usually best to allow the brush to say only those things that are safe to be said in polite company. However, some brushes will run on. This entry was posted in art, art education, creativity, drawing, education, inspiration, knowledge, learning, Painting, Uncategorized and tagged Arts, Brush, Brushes, Foundation, Georgia O'Keeffe, language, Paint, paintbrushes, United States, Visual Arts. Bookmark the permalink. When I watercolored, the professor always had a difficult time choosing a brush. Understandable! Some of them speak more loudly than others. I’ve started working with digital and surreal art and I’m enthralled by suddenly finding I can express all the images in my head. But… I’m also a writer, very much enjoy writing about the process of creating art and how images emerge. I guess I just like teaching in whatever medium I’m working! I haven’t yet tried the digital but I enjoy the writing and the visual, too. It’s very nice!! Your welcome!